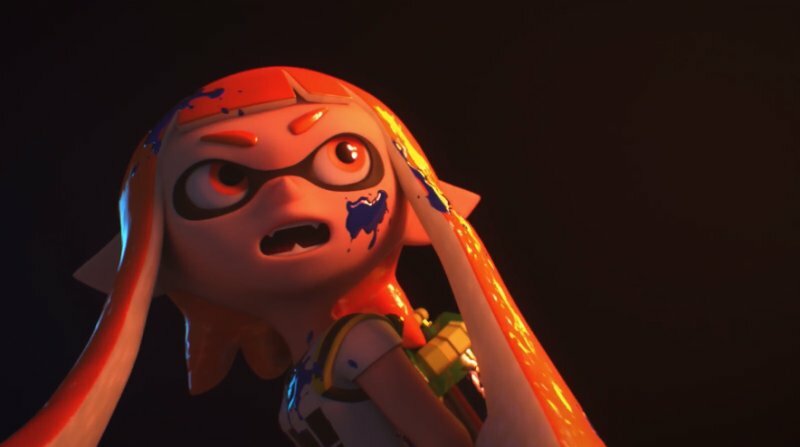 Well, the final Super Smash Bros. Ultimate-focused Nintendo Direct before the game’s launch has come and gone. And, well…that was it? I mean, really? That’s it? To use an old (and pretty disgusting) phrase, Super Smash Bros. Ultimate was about to win the race, and then crapped its pants right at the finish line. Look, I have no doubts that – mechanically speaking – Super Smash Bros. Ultimate will still be a very fun game. It has a solid foundation to work from, and it really can’t be too bad in terms of gameplay if it sticks to what the series does best (Brawl was also a very fun game, even with the tripping). But the forty or so minutes it took for the Direct to begin and end made Ultimate go from my most anticipated game of the year, to one I’m simply going to play and review. And that’s kind of sad when I think about it. “But Geno’s too obscure! He was in one game! He hasn’t been seen in years!” is what the detractors (AKA people who apologize for everything Sakurai does) would say. But none of those arguments hold a bit of weight by this point, considering K. Rool and several other characters hadn’t been seen in years, obscure characters have been part of the series since day one (EarthBound, Ice Climbers), and the fact that a character like Dark Pit is in the game at all means relevance clearly isn’t an issue. Hell, if anything, the demand for Geno over the years has actually made him more relevant than ever. Besides, Ultimate is the fifth (technically sixth) installment in the Super Smash Bros. series. We got all the most recognizable characters out of the way long ago, now was the time to get crazy with the fan-service. Instead Ultimate only went halfway. Again, if we were talking about a character I wanted, but I know I was alone in wanting, I would give it a pass. But when a character has actually grown more iconic because people want him in Smash Bros., wouldn’t you think they’d prioritize such a character? As stated, if we weren’t teased with a Mii Fighter costume in the last game in might not sting as much, but after that mess, it feels like the fans were practically owed the character. What makes the omissions sting all the more is the final lineup of newcomers in the Direct. Ken from Street Fighter makes sense, but it’s kind of hard to get too excited over a clone of an existing character. What makes less sense, however, is that the final ‘new’ character was revealed as Incineroar from Pokemon Sun/Moon. Look, I get that Pokemon is Nintendo’s big money maker, and I’ve said in the past that Pokemon (along with Mario and Zelda) is one of the few series that could have as many characters as it wants and it would be hard to argue against it. But THAT’S the final character you decide to reveal? Incineroar isn’t even as popular as fellow Sun/Moon starter Dicidueye, who would have been a more unique character anyway. 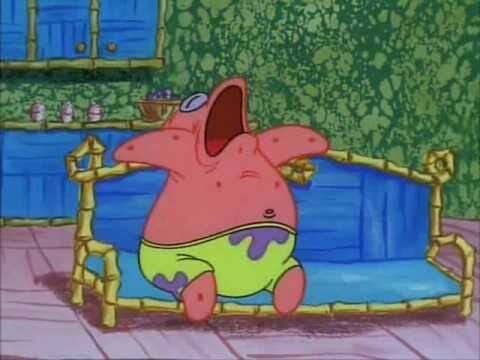 I mean, I’m not totally opposed to Incineroar, but to be the final character in the starting roster? Talk about a popcorn fart of a reveal… Would have been better off revealing Incineroar months ago and ending with the Belmonts and K. Rool. Since I mentioned the starting roster, it is important to note that Sakurai has promised that, through the first year or so after Ultimate’s release, a quintet of DLC characters will be released, each coming with their own stage and selections of music. So there is hope yet for Geno, Skull Kid, and Dixie (not sure on Isaac though, given that they kept him as an Assist Trophy). 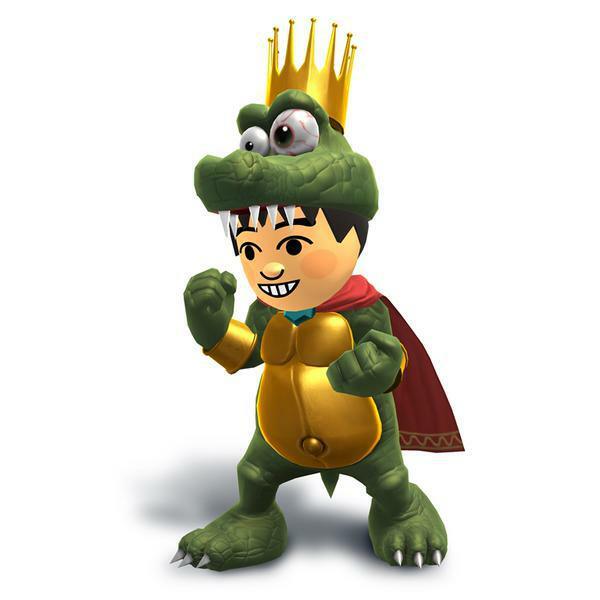 But still, wouldn’t revealing someone like Geno (after already having Ridley and K. Rool) been the perfect final character? Incineroar just seems so…unceremonious. There is a downside to the DLC, however, in that the five characters are still a mystery. 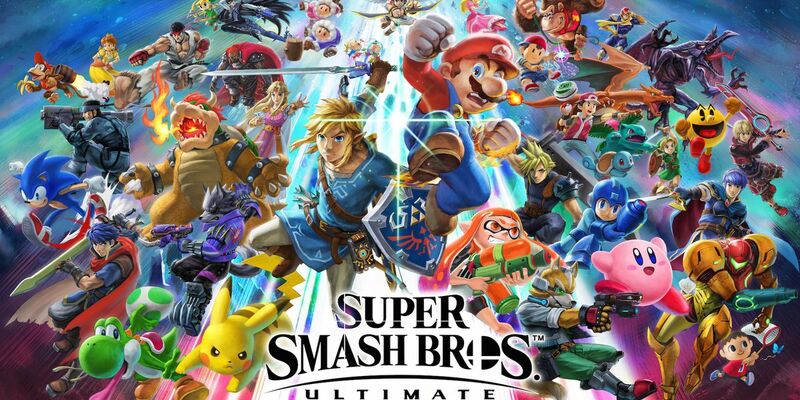 So while we can all be hopeful that those aforementioned fan favorites will make the cut, after having the rug pulled from under us time and again from the Smash Bros. series’ character choices, it’s kind of hard to get too excited. I mean, if Geno couldn’t make it even after teasing everyone with the Mii costume, it’s more than a little bit of a kick to the crotch of the fans. Speaking of the DLC, however, there is one inclusion that might be even more questionable than Incineroar’s baffling presence as the final reveal… Piranha Plant is going to be a DLC fighter shortly after the game’s launch. Thankfully, it’s separate from the other five mentioned mystery DLC characters, but yes, a standard enemy from the Mario series gets in before the handfuls of characters fans have been requesting for years. That’s… that’s just insulting. I mean, I think Waluigi is a pretty lame character, and I think his requests for inclusion is little more than a joke taken too far. 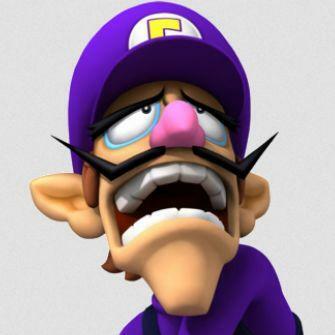 But at least Waluigi is a character! I think he’s earned a spot before a basic enemy like a Piranha Plant, no matter how much of a staple they are to their series. And if we’re throwing in standard enemies now, why not add the Waddle Dee with the bandana, since people at least wanted him? It is the most baffling inclusion, and not in a good “I wasn’t expecting that!” kind of way, but in a “wow, no one asked for that…” kind of way. Sure, the Direct also revealed things like the new Story Mode, titled ‘Spirits.’ And I know some people are excited for a story mode. But in a game like Super Smash Bros., a story mode isn’t exactly the selling point. I’m sure more people would have preferred to see more of their requested characters make it into a series all about providing fan-service than they would like a story mode out of a fighting game. I mean, Brawl’s story mode – Subspace Emmisary – became pretty infamous for being a means to unlock the characters, and then completely forgotten about afterwards. And while the Spirits mechanic has some appeal, I again state that people would have probably preferred more newcomers over it. Yeah yeah, Sakurai apologists would just write me off as being salty about the exclusions, but again, I’m talking about characters fans have wanted for years (some for over a decade). And they get bumped (yet again) for uneventful inclusions like Ken and Incineroar, and a Piranha Plant, something no one wanted. How exactly were they expecting people to react to these final announcements? Sure, I’ll repeat myself and say I’m sure the game will be good fun in terms of gameplay and mechanics. But whatever steam Super Smash Bros. Ultimate picked up in the past few months through the likes of the Inklings, Ridley, Simon Belmont and King K. Rool came to a screeching halt in the span of forty minutes. Sure, Ultimate has already added some good new characters, but if you’re playing the lottery it doesn’t matter how many numbers you have, if you’re missing out on the last number, you still lose the jackpot. Well, here’s hoping those five mystery DLC characters end up being worth the hype. In the meantime… Meh. When Retro Studios revealed Donkey Kong Country: Tropical Freeze at E3 2013, it was received with a lukewarm reception. 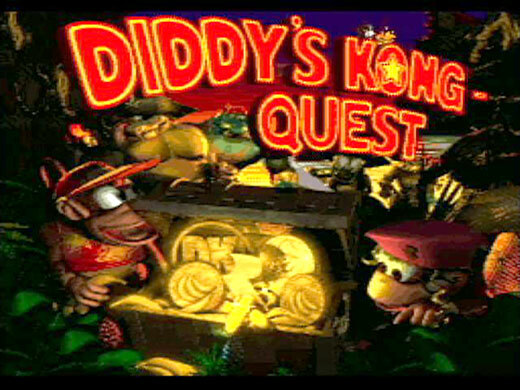 People were baffingly disappointed that the studio opted to create a second DKC title (apparently forgetting how good Donkey Kong Country Returns was), and were clamoring for the developer to return to the then-dormant Metroid franchise (apparently forgetting Retro already made three titles in that series). This immediately lead to unfair criticisms towards Tropical Freeze and, coupled with questionable marketing, a delayed launch, and the overall underperformance of the Wii U, Tropical Freeze failed to receive the mass-appreciation it truly deserved. It quickly became a cult classic for many, due to its pitch-perfect gameplay, impeccable level design, and God-tier soundtrack, but it never became the best-seller it should have been. Now, Tropical Freeze has been given a second chance on the Nintendo Switch, in hopes that it can finally find the audience it so rightfully deserves. Although the core game is mostly unchanged from its release on the Wii U four years ago (save for some touch-ups with the graphics, and some new character animations), DKC: Tropical Freeze is more than worth another go on the Switch, as it remains one of the finest platformers ever made. Being a follow-up to Donkey Kong Country Returns, Tropical Freeze adopts the basic blueprint of its predecessor. 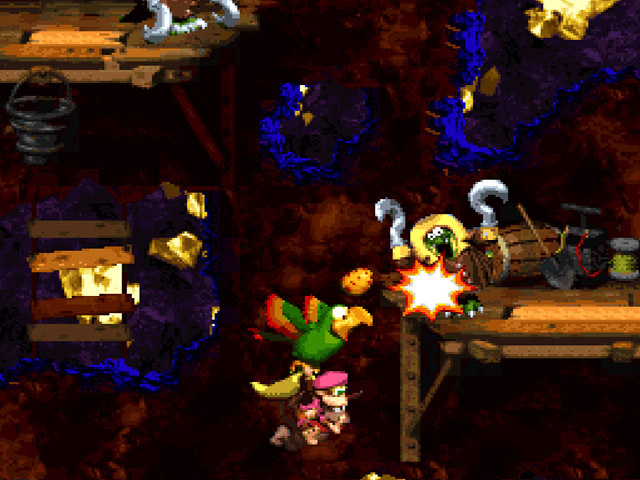 But while Returns was an excellent game in its own right, it often relied on falling back onto nostalgic memories of the original 1994 Donkey Kong Country on SNES. Tropical Freeze – being Retro’s second go at the series – was able to break free from the familiarity of Returns and craft an identity of its own for the series. 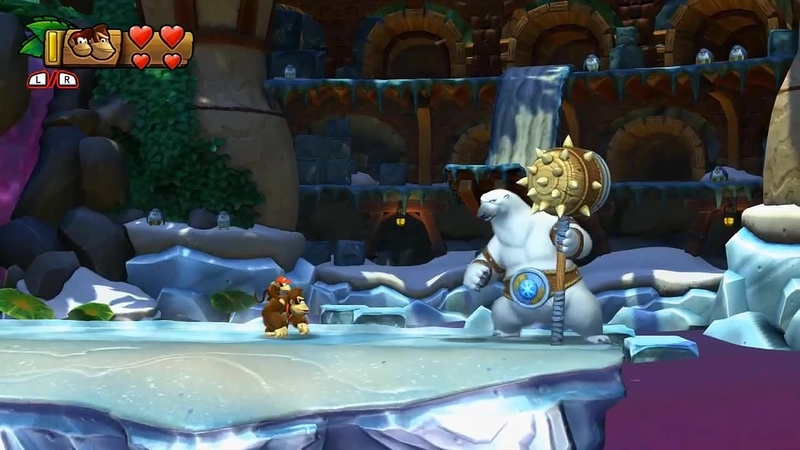 The story here is that a gang of vikings called the Snowmads (comprised of arctic animals like walruses and penguins) have invaded Donkey Kong Island. Doing their best Elsa impression, the Snowmads freeze the entire island and make themselves at home, banishing the Kongs in the process. 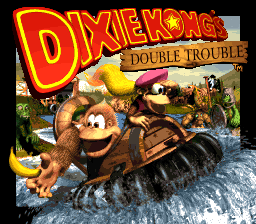 But DK is not one to simply let it go, and he, along with Diddy, Dixie and good ol’ Cranky, set off on an adventure across multiple islands to take back their home from the Snowmads. Of course, any semblance of plot is really just an excuse to get DK off his keister and into those platforming stages. 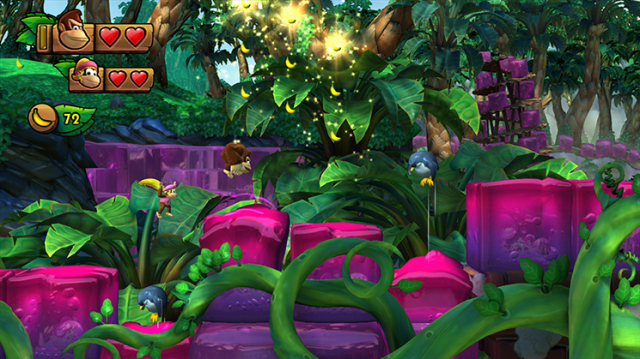 It’s within its gameplay and level design that Donkey Kong Country: Tropical Freeze becomes a work of art. The level design of Tropical Freeze is among the best you’ll ever find in a platformer (or any genre, for that matter). Every stage introduces new mechanics and gameplay elements, making every last level feel fresh and original. 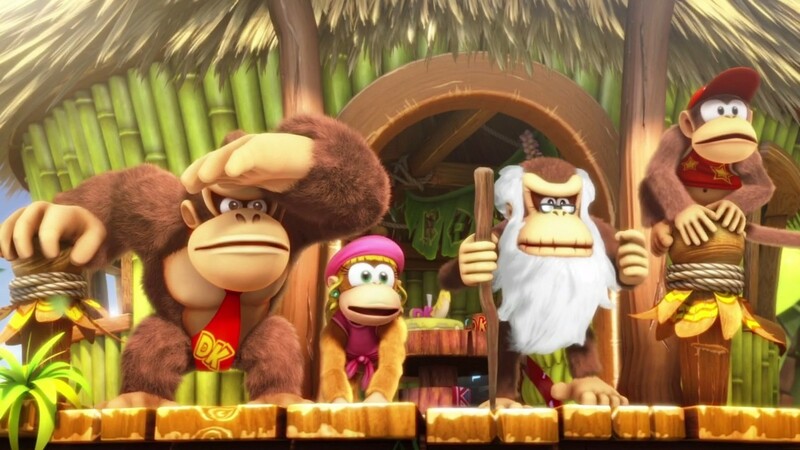 Tropical Freeze almost epitomizes a “you know what would be awesome” mentality…as in, it’s all too easy to imagine the folks at Retro Studios exclaiming “you know what would be awesome?” right before they pitched their ideas. 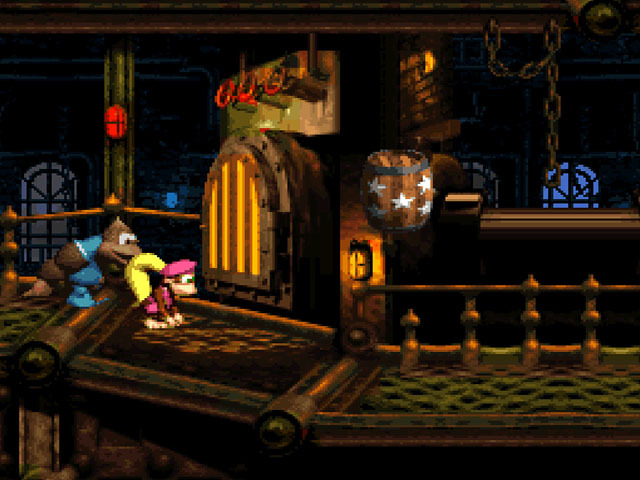 There are a few shared elements between stages, namely the collectible puzzle pieces and K-O-N-G letters that are hidden within them (the puzzle pieces unlocking extras such as concept art and music, while nabbing every K-O-N-G letter in every stage of a world unlocks that world’s secret temple stage). But there’s not a level in the entire game that falls back on recycling a level concept brought up earlier in the adventure. The level design of Tropical Freeze is an utter delight the whole way through. This is also true of the game’s boss fights. Though the old tradition of one boss per world means that such encounters are limited at six, each one of them provides a clever challenge that’s full of creativity. Player’s primarily control Donkey Kong, of course. He still runs, jumps, rolls, pounds the ground, and throws barrels. This time around, he can also pluck certain objects from the ground, as well as pick up certain enemies to throw them at others. 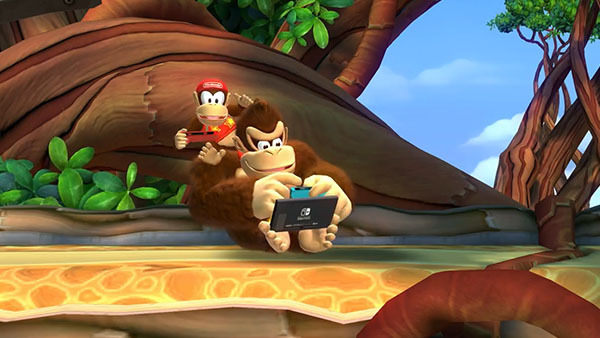 Along the way, DK can team up with the other Kongs who, in addition to granting the player two extra hit points, come with their own special abilities. Diddy Kong, returning from DKCR, comes equipped with a jetpack, allowing DK to hover for a short time. 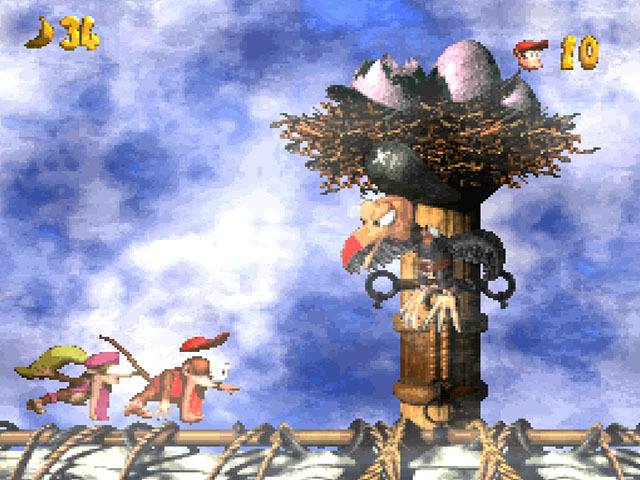 Meanwhile, Cranky Kong makes his long-awaited debut as a playable character, and can use his cane as a pogo stick – Scrooge McDuck style – to not only jump higher, but also to allow DK to jump across surfaces and enemies he otherwise couldn’t (such as thorny brambles or enemies with spiked viking helmets). 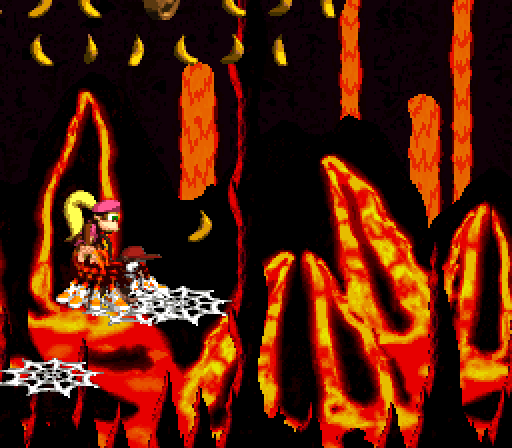 Dixie Kong, true to form, proves to be the most useful, however. 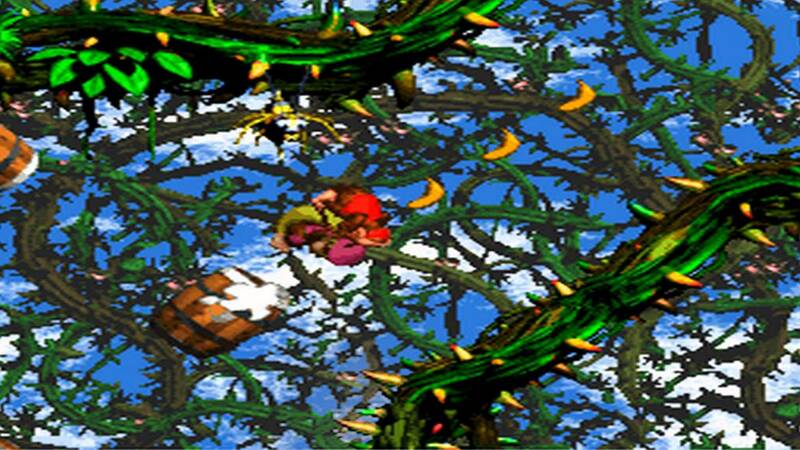 With her helicopter-like hair, Dixie Kong not only gives DK a bit more air, but also increases the height of his jumps. 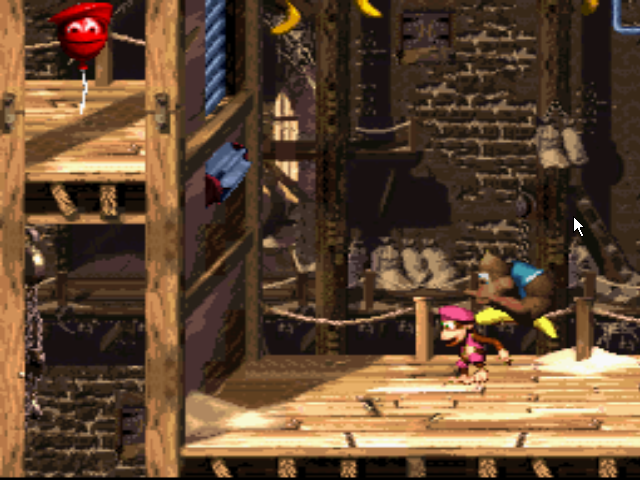 When playing solo, the additional Kongs more or less serve as power-ups, but they are also readily available for a second player to select in the game’s co-op mode. On the visual front, Tropical Freeze looks better than ever, which is no small feat, considering how great it already looked on the Wii U. The graphics may technically be the same, but it all looks sleeker and smoother than it did before. And perhaps best of all, the load times have been drastically reduced in this Switch release. Then we have that epic soundtrack. 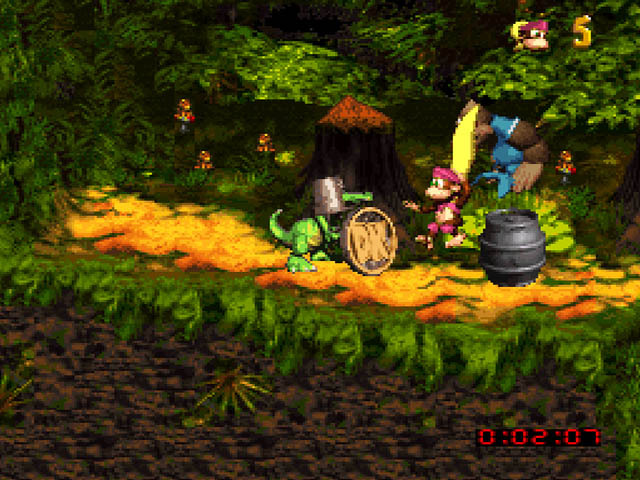 The first two installments of Donkey Kong Country remain highly regarded for their music, though the third entry’s score, while still good, fell considerably short of its predecessors. 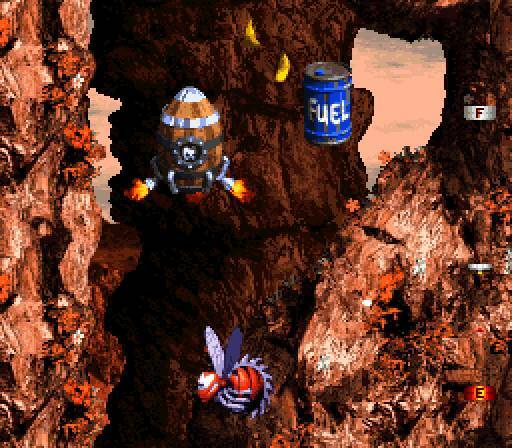 Meanwhile, Returns’ soundtrack mainly relied on remixes of the first DKC’s soundtrack, which is great and all, but didn’t exactly help in giving the game an identity of its own. With Tropical Freeze, however, Retro Studios managed to cook up a musical score that ascends to one of the all-time greats in the medium, and more than lives up to the first two installments. It should come as no surprise that the key ingredient to the soundtrack’s roaring success is the return of original series composer David Wise, who made a triumphant return with Tropical Freeze after an extended hiatus from scoring mainstream titles. Much like the first two SNES DKC titles, the score of Tropical Freeze manages to encompass a shocking amount of variety, all while building the atmosphere of the game’s world, and turning the simple story of a bunch of apes fighting walruses into something truly epic and beautiful. As far as gaming soundtracks go, Undertale might be Tropical Freeze’s only real competition for the title of best of the decade. 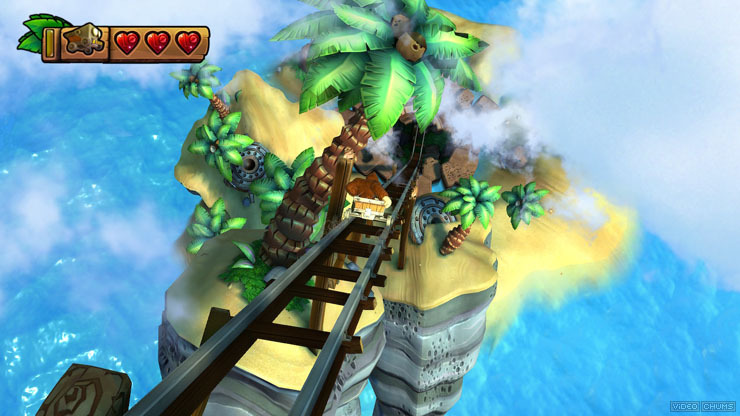 While Tropical Freeze served as a vast improvement over (the admittedly great) Donkey Kong Country Returns in nearly every regard – from level design to boss fights to music – there were, unfortunately, two aspects in which Tropical Freeze merely followed suit with its predecessor, as opposed to improving it. The first are the bonus rooms scattered throughout the levels. 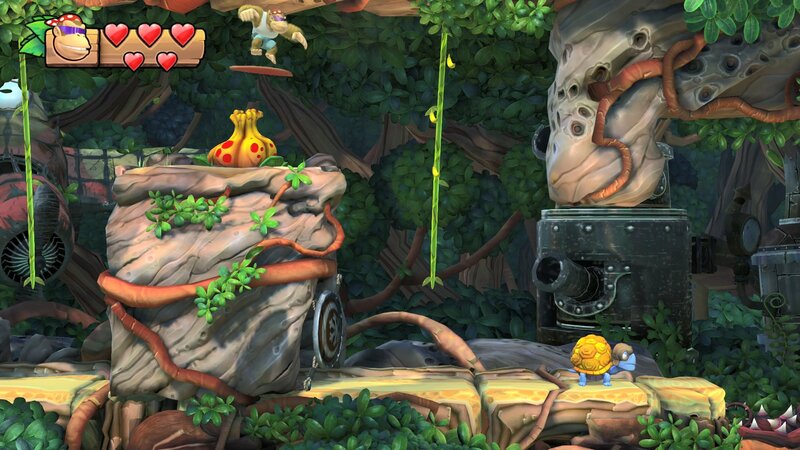 While these bonus stages are fun in their own right, they are all simple variants of “collect all the bananas.” It’s not a major issue, but considering the variety of bonus stages housed in the DKC games back on the SNES, you kind of wish Retro Studios could have touched up on the repetition of the bonus rooms found in Returns with their second outing. The other blemish is that Rambi the Rhinoceros is once again the only Animal Buddy present in the adventure (unless we count Squawks, who can be purchased at Funky Kong’s shop and alerts players to nearby puzzle pieces). While riding on Rambi and bowling through enemies is fun, he only shows up on a handful of occasions, leaving you wanting more out of him, as well as a return of more Animal Buddies such as Enguarde or my man Squitter (or for Retro Studios to develop some Animal Buddies of their own). It also has to be said that the only major addition to the Switch release of Tropical Freeze is its new “Funky Mode,” which serves as a beginner-friendly playstyle for those who find the core game too difficult. Essentially, it’s easy mode, with Funky boasting all of the abilities of the other Kongs, as well as having more hit points and unlimited oxygen when swimming. On one hand, I can appreciate the game having an easy mode. Given its often intense difficulty, providing an easier option for beginners might give Tropical Freeze a wider audience. But on the downside, it is kind of a shame that the new playable character has to be confined to it. 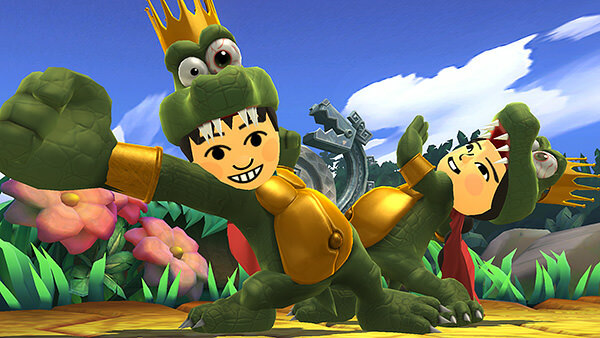 Having Funky as a unique character with his own abilities in the core game might have been a nice twist on this modern classic, while the easy mode could have potentially given DK the extra benefits and such, thus separating it and the new character. Donkey Kong Country: Tropical Freeze was not only my favorite game of 2014, but also one I can confidently say was my favorite in the entire Wii U library. It’s a platformer that easily ranks among the best of them, with sheer creativity and gameplay brilliance pouring out of every level. The fact that it was initially met to such a lukewarm reception was a damn shame, and played a part in Tropical Freeze becoming quite possibly the most underrated game in Nintendo’s history. Now, Donkey Kong Country: Tropical Freeze can safely claim to be one of the very best games on the Nintendo Switch. Sure, the lack of variety in bonus stages and Animal Buddies is still a bit of a bummer, and the fact that Funky Mode is the only prominent addition to this second release can feel a little like a missed opportunity. But make no mistake about it, Donkey Kong Country: Tropical Freeze should rank among the best games Nintendo has ever made. And hopefully this time, more people will get to realize that.